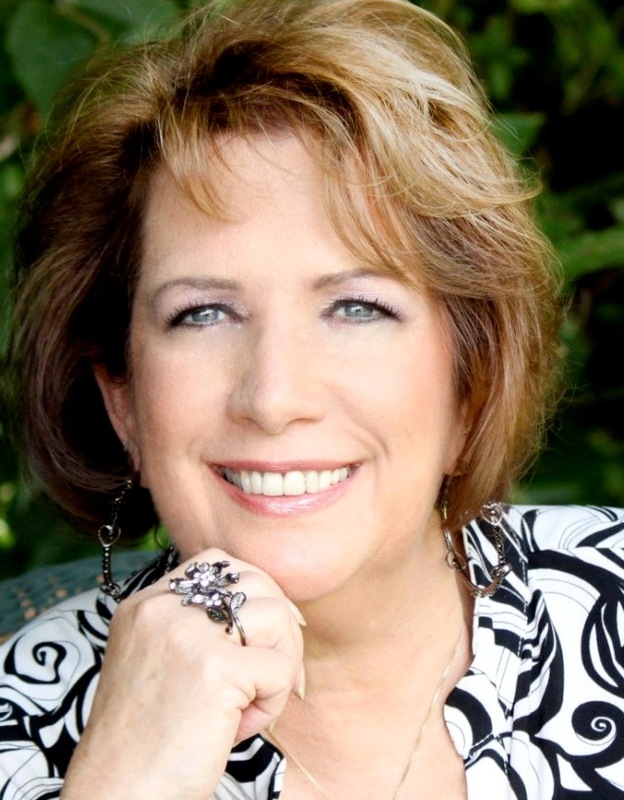 For over 30 years Joan Hunter, President and Founder of Joan Hunter Ministries, has ministered tirelessly, preaching and teaching God’s Word worldwide and serving as a conduit for His healing power. 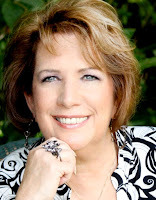 She is the author of four books: Healing the Whole Man Handbook, Healing the Heart, Power to Heal, and her most recent, Supernatural Provision. Joan has been featured on many television and radio broadcasts in the U. S. and around the world. She lives with her husband, Kelley Murrell, in Pinehurst, Texas. A mother and grandmother, Joan has four grown daughters and Kelly, four sons. To learn more about her or attend one of Joan’s conferences or speaking events, go to her website. In these uncertain economic times, many are struggling to make ends meet, allowing credit card bills to pile up with no plan on how to pay off their debts. Others may not be suffering financially, but fear the future and are unable to find peace. In her latest book, healing expert Joan Hunter has plumbed the pages of the Bible for wisdom on securing financial freedom and managing it according to God’s instructions that results in peace that surpasses all human understanding. Maintaining that God wants to bless His children in every area, Joan shares fresh revelations that will ignite readers’ faith to: overcome debt and loss, remove roadblocks to God’s blessings, discover the blessings of faithful stewardship, and unlock the windows of heaven. An audio teaching CD is included with each book. When you hear the word economics, you probably think of the largely secular discipline that deals with the production, distribution, and consumption of goods and services. You may think of the stock market, which rises and plummets in an alarming pattern. You may think of taxes and tariffs and currency exchanges. The realm of money may seem incompatible with faith, having little or nothing to do with the supernatural. Yet the Christian life is not a dichotomy of material and spiritual, natural and supernatural. Those of us who call God our Savior and Lord know that every aspect of life has a natural and a supernatural component—economics included. Our financial wellness matters as much to God as our physical health, and we should not look at our finances from a standpoint that’s informed solely by secular investment analysts and stockbrokers. No part of your life can be understood without revelation from the Holy Spirit. Understanding divine financial provision and the supernatural flow of money requires a personal revelation from God, just like every other area of Christian experience. Men cannot understand God’s methods using the world’s logic, which tells us to save x dollars each year, invest in certain funds, and otherwise make our own way. Most Christians have subscribed to worldly financial thinking: only 10 to 20 percent of all churchgoers tithe faithfully, which indicates that many do not believe that God will enable them to do more with the 90 percent they keep after tithing than with the money they save by refusing to tithe. Others are ignorant of the Bible’s teachings on tithing. They have not discovered that God keeps covenant with His children and provides for their needs from His inexhaustible riches in glory, not their limited incomes. Christians must know the difference between world economics and “Word” economics—the divine ways in which God provides for His children as they advance His kingdom on earth. His Word—the Holy Bible—is the answer book for questions about the realm of personal finances, especially as it concerns the call of God on your life. In these end times, the economy of God is not the same depressing picture that the world paints, with its buzz about deflation, inflation, recession, depression, unemployment, et cetera. His economy is thriving, with enough provision for you to do everything He has planned for you. He knows what works all the time. In the world’s economy, it’s a “buyer’s market” one day, a “seller’s market” the next. The stock exchange is unpredictable, with investment brokers changing their tune every day. The threat of market crashes haunts investors everywhere, so that an atmosphere of panic and confusion permeates Wall Street and financial analysts. Who is the author of confusion? 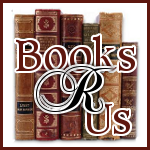 Who is the author of scare tactics and lies? We all know that it’s God’s opponent, Satan. Because he is God’s enemy, he is also our enemy, and he will do anything and everything to discourage Christians. If he can get us to doubt God’s provision and live in paranoia about unemployment, bankruptcy, and the like, he has the upper hand. The great thing about God’s economy is, it never changes. While the world’s economy is in constant flux, the principles by which God’s economy operates are eternal; they do not shift according to the latest trends on Wall Street. The current economic conditions do not limit God. He doesn’t have more money when stocks are soaring and less when the market tanks. “The earth is the Lord’s” (Exodus 9:29); He owns it all, all the time. He could turn stones into loaves of bread if He chose to. (See Matthew 4:3–4.) He used ravens to feed the prophet Elijah. (See 1 Kings 17:6.) He supplied sustenance for Noah and the other inhabitants of the ark during the great flood. (See Genesis 6:13–9:1.) He can provide for those who trust Him in any situation. Most Christians read the Bible and pray when they are at a crossroads and need wisdom on what to do. Yet many of them make the mistake of seeking the Bible’s wisdom for every area of life except their finances! They consult the Word of God for answers to questions about health, emotions, relationships, and the like, but neglect to search the ultimate source of wisdom for financial advice—with tragic results. I know a woman whose husband could not stay away from the news. He listened to, watched, or read the news all day and long into the night. Panic invaded his mind on a daily basis and also permeated his marriage and family, and his wife was at a loss for how to deal with the spirit of fear that had taken over her home. Sadly, many people devote much of their attention to the news, whether by watching TV, listening to the radio, surfing the Internet, or checking Facebook, Twitter, or other social media sites for updates. The news from these sources is almost always from man’s perspective, not God’s. Granted, being informed about world events is useful—how else can we know when to pray for change or when to rejoice over the fulfillment of God’s promises? But the fact remains that most news broadcasts emphasize the negative and end up inciting panic and undermining our confidence. How many people do you know who trust the news without question? They are totally consumed with the opinions of man as their ultimate source of knowledge; they “lean on” worldly news and then wonder why they do not have peace and joy! Does the Bible say, “Trust in the news with all your heart, and it shall direct your path”? No! God’s Word tells us, “Trust in the Lord with all your heart, and lean not on your own understanding; in all your ways acknowledge Him, and He shall direct your paths” (Proverbs 3:5–6). In the midst of a seesawing stock market and high unemployment, trusting in God’s provision can be a challenge. The key is to be more focused on His promises—His economy, as revealed in His Word—than on the world economy. You may be familiar with Romans 10:17: “Faith comes by hearing, and hearing by the word of God.” What you may not realize is that, like faith, fear also comes by hearing—listening to the news, to the world around you. If we try to keep up with the world’s financial reports and heed messages of economic doom and gloom, we are bound to become anxious and prey to fear. Fear, as you know, is the opposite of faith, and it is not from God: “For God has not given us a spirit of fear, but of power and of love and of a sound mind” (2 Timothy 1:7). Again, if the news is what you focus on, a spirit of fear will pervade your thoughts. Your spirit will be dominated by whatever you feed your mind. As I wrote earlier, the “news” that bombards us 24/7 should not be our primary source of information, especially when it comes to our finances. Instead of depending on the newscasters, we should turn to the Word of God. The more we depend on the Word, the more content and confident we will be. Where do you go for answers? God’s Word or the news broadcasts? When you spend hours surfing the Internet, reading the newspaper, and watching TV news anchors broadcast their negative messages, what will enter your mind? Negativity. Junk. Trash. Fear. Poverty. Be careful about the thoughts you entertain. Instead of dwelling on negativity, use your God-given discernment. When the financial forecast is dire, you will be free from anxiety and fear, because the truths about God’s economy—the promise of His supernatural provision and inexhaustible resources—will keep your soul at peace. In addition, when you renew your mind (see Romans 12:2), you will have the “mind of Christ” (1 Corinthians 2:16). And, when you think with the mind of Christ, you end up making wise decisions based on your faith in God and your obedience to His Word. It may come as a revelation to you, but your words can affect the level of your material wealth. You can bring in money by the words you use. You speak by faith and you act in obedience to the Word of God. No matter how you feel at the time or how much money you have, when you speak in faith and obey God’s Word, He blesses you and your offspring. Consider the words you speak. Are they words of peace and faith, or are they expressions of fear and panic? When you choose to fill your mind with God’s truth and speak words of faith alone, you withstand the spirit of fear and dwell in the prosperity of God. If anything is blocking your income, you must pray positive words over your finances. Declare good things. Speak increase and prosperity. The words of your mouth will determine your success, not the naysaying of the newscasters. When we set our minds in agreement with the promises in the Word of God, we can expect incredible blessings from our Father, for He supernaturally blesses His people! In the midst of the housing bust and economic downturn of 2008–2009, our ministry had to relocate. On top of that, my husband, Kelley, and I moved. The logistics of such an undertaking are usually overwhelming, not to mention the added difficulty of my having to help direct the process from a distance due to my extensive travel schedule. Yes, I continued to travel wherever God sent me during this time and usually found myself out of town. Despite the circumstances that surrounded us, our needs were met supernaturally. Our ministry has more workspace than ever before, and our new home is beautiful. We are grateful for God’s blessings, and we excitedly anticipate the blessings to come as we faithfully follow His leading. True prosperity is found in the Word of God. If we feed ourselves continually on the things of God, our souls will prosper. As our souls prosper, our bodies and minds also prosper. The effects of these blessings overflow into every corner of our lives. Is everything in our lives perfect 24/7? No! We still live on earth and daily face challenges to overcome. However, we are so blessed that we just hop over each challenge to catch the next blessing. We listen to God’s Word, speak His Word, and believe His Word. When you turn to the Word of God, you receive only good news—the promises He has in store for you. As we have discussed, a steady diet of world news produces nothing but fear, worry, and anxiety. What will you listen to? Whose report will you believe? (See Romans 10:16–17.) Will you continue to rely on the world’s economy, or will you walk into and stay within the economic principles designed by our Creator? Every day, you will make such a choice. Choose carefully. Man may fail you, but God never will. And He is the greatest “personal financial adviser” you could hope for, because He always has your best interests in mind. Which will you trust? The words of man with doom and gloom, which plant seeds of doubt and disbelief, or the wonderful Word of God with its promises of abundant life? If you answered “God’s news,” read on. In this book, I will reveal financial principles from the Word of God and show you the joy of putting your faith not in a paycheck or another source of income but in your ultimate Provider, the Lord God Almighty. God has only good things for you, but you have to turn to Him and open your mind and heart to hear, discern, understand, and follow His plans for you. When you deposit faith for your finances in the bank of heaven, you will receive the greatest possible return, and His peace and prosperity will permeate your life. May it be so for you today! I have read many books on how to achieve financial freedom and each author had a different approach on the subject. 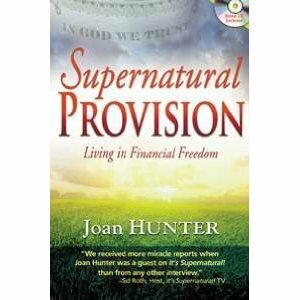 In reading Supernatural Provision, I have gained a insight into how God can help us deal with debt. I found Chapter 8 very inspirational and discussed the major roadblocks that we may encounter in our lives. There are numerous prayers mentioned in the book to help us overcome them. The CD provided with the book was very uplifting and Joan included many testimonies of everyday people who have overcome their debt supernaturally. This book is perfect for people of all ages who may be having financial troubles and gives you strategies to prevent being in debt at all.